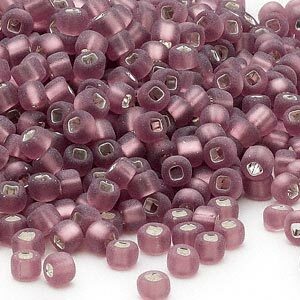 Seed bead, Dyna-Mites, glass, silver-lined translucent lilac, #6 round with square hole. Sold per 40-gram pkg. Item Number: H20-5119SB Have a question about this item? 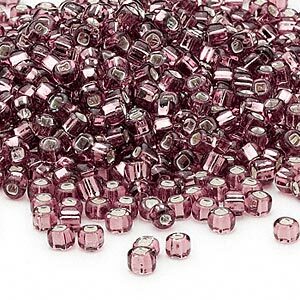 Available in a myriad of colors to complement any material for a clothing piece or a special stone for custom jewelry creations. 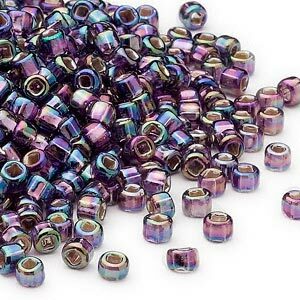 These beads can also be combined with smaller seed beads to add visual interest and depth to your projects. 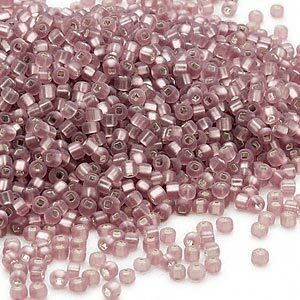 Quick to loom and easy to string or sew, #6 seed beads provide you with an extensive alternative to conventional seed bead sizes. 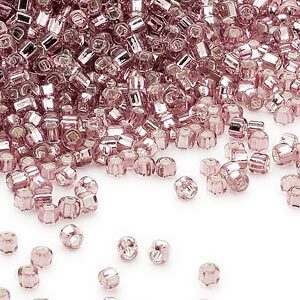 While these are extremely close to the popular "E" bead, #6 beads offer higher quality and more consistent size. 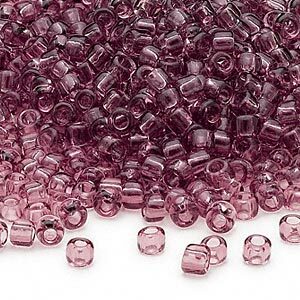 A 40-gram package can contain approximately 680 beads. 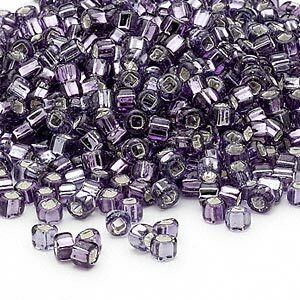 Seed bead, Dyna-Mites, glass, silver-lined translucent lilac, #6 round with square hole. Sold per 1/2 kilogram pkg. 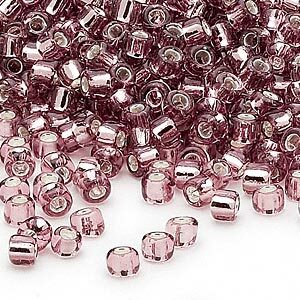 Seed bead, Dyna-Mites, glass, silver-lined translucent matte lilac, #6 round with square hole. Sold per 1/2 kilogram pkg. Seed bead, Dyna-Mites, glass, silver-lined translucent matte lilac, #11 round with square hole. Sold per 1/2 kilogram pkg.